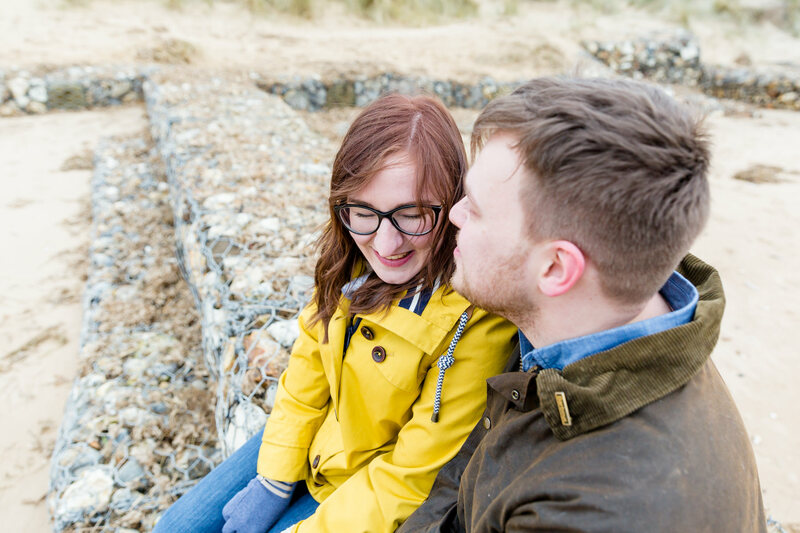 It was great to see Em & James again, it had been almost two years since they’d booked me! 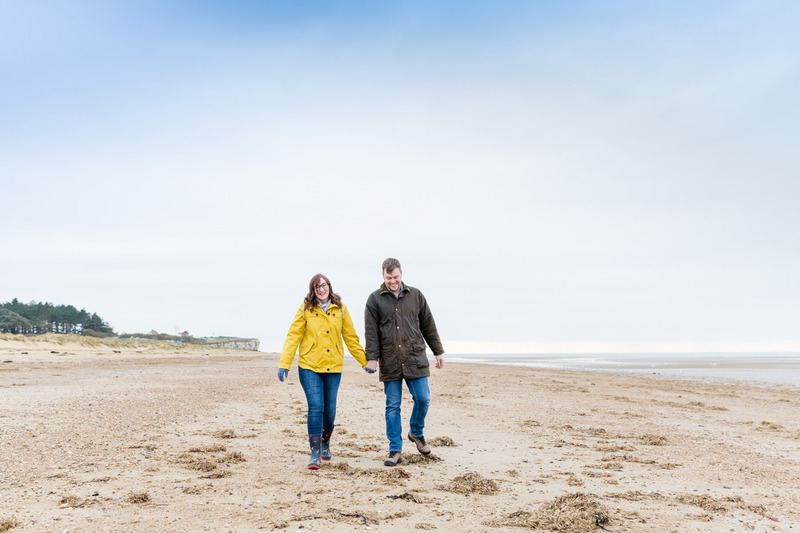 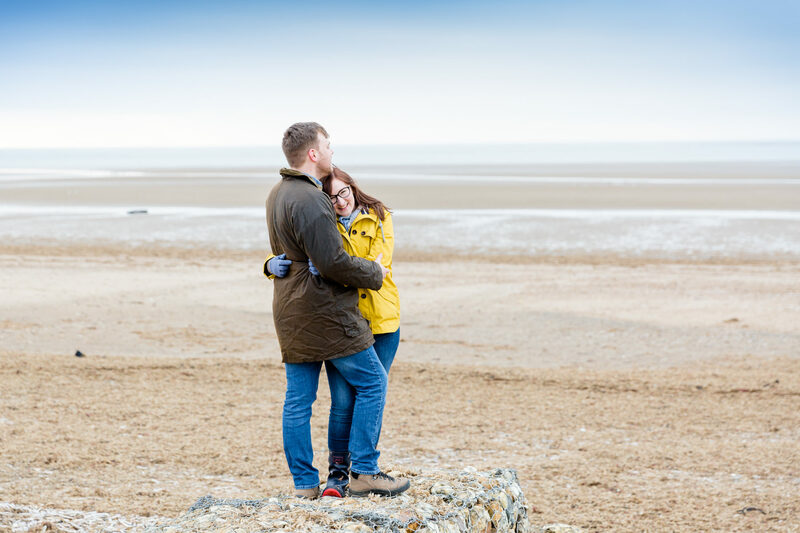 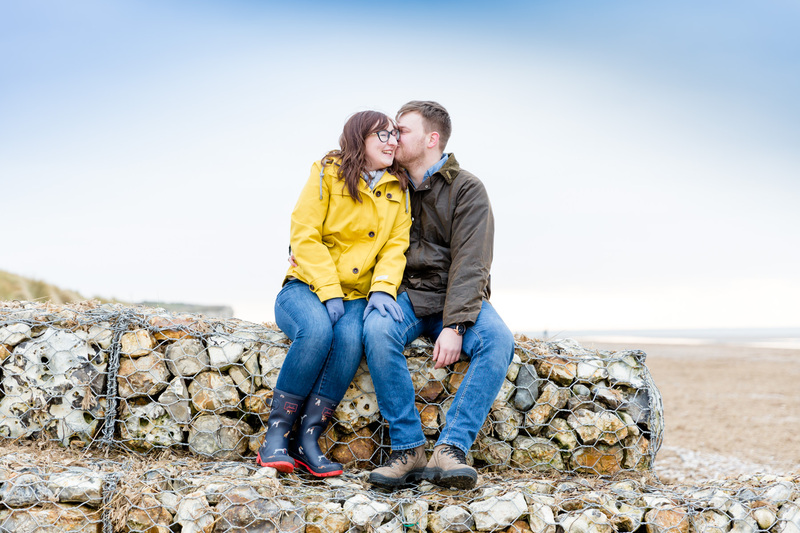 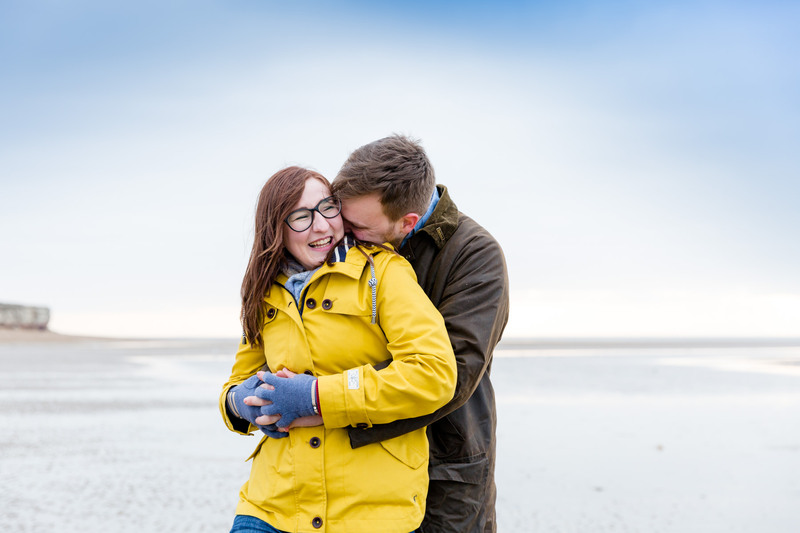 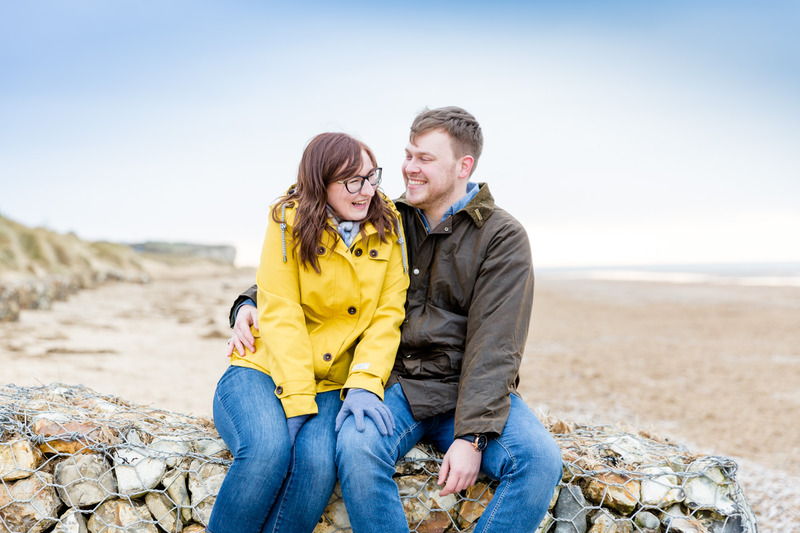 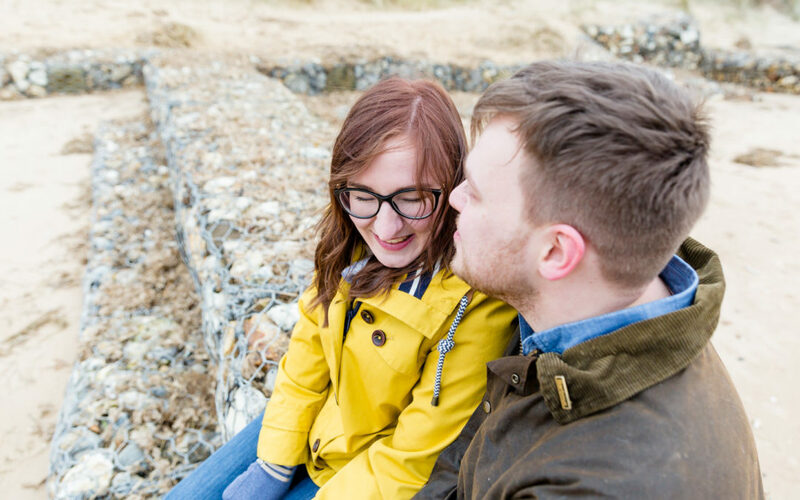 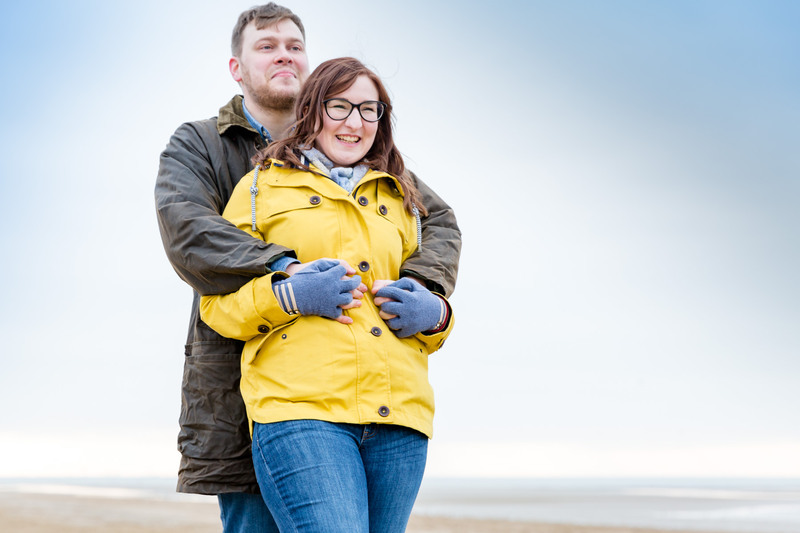 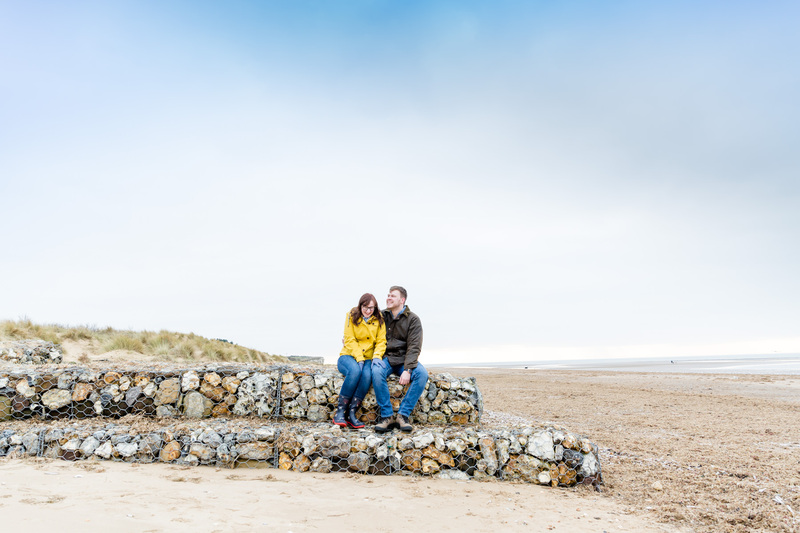 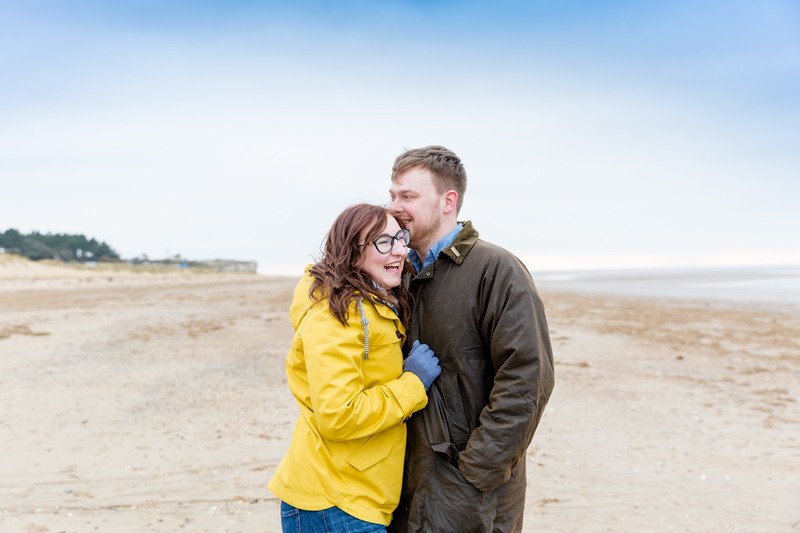 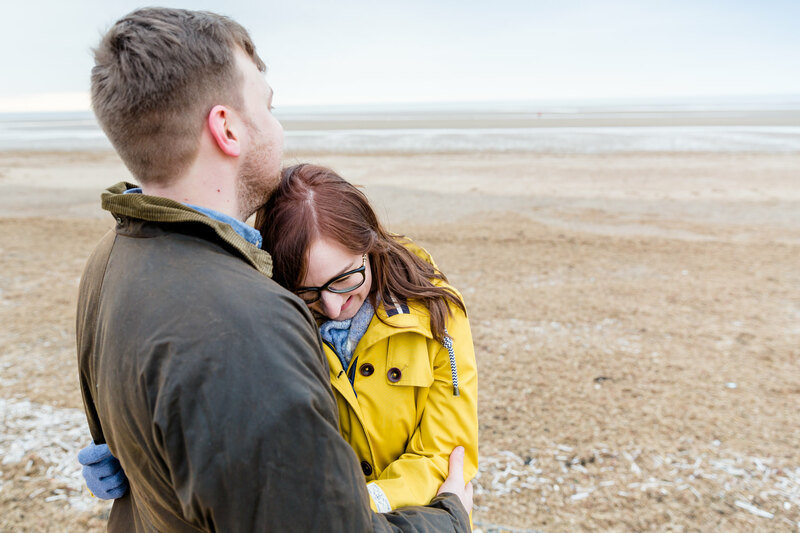 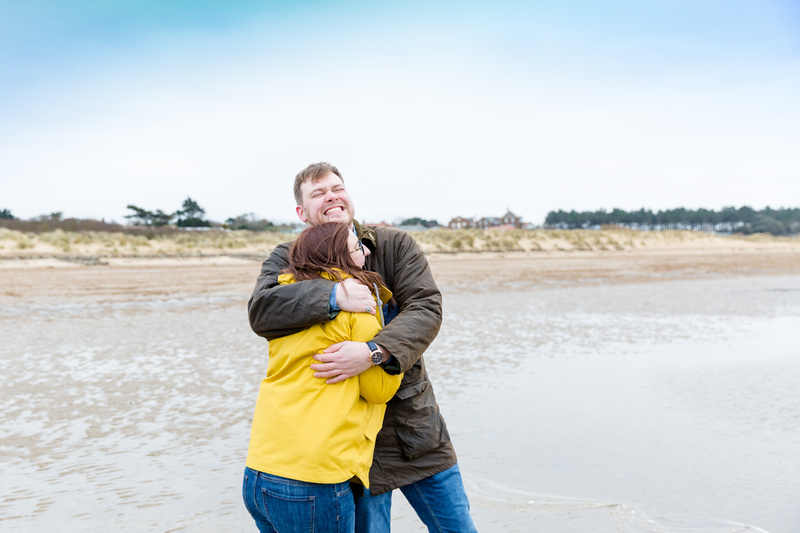 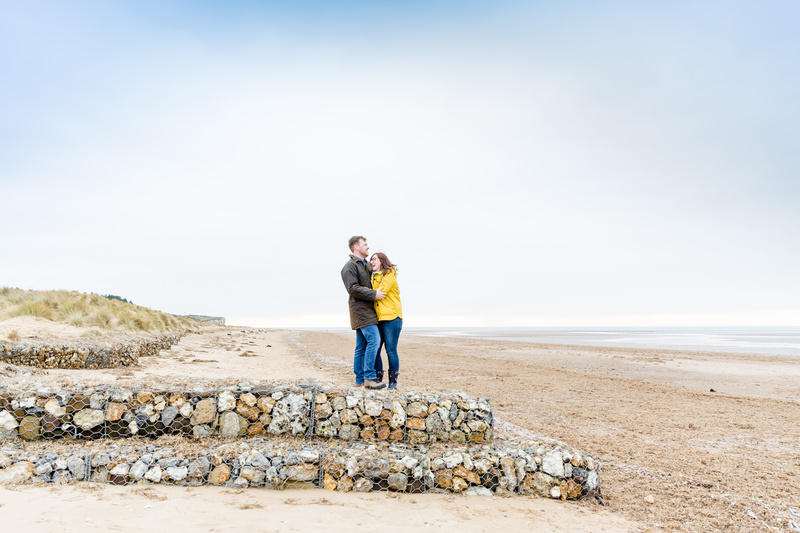 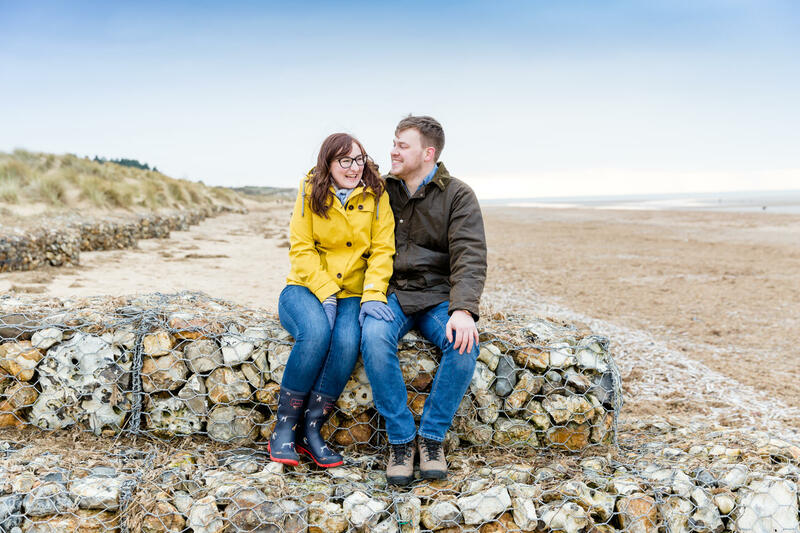 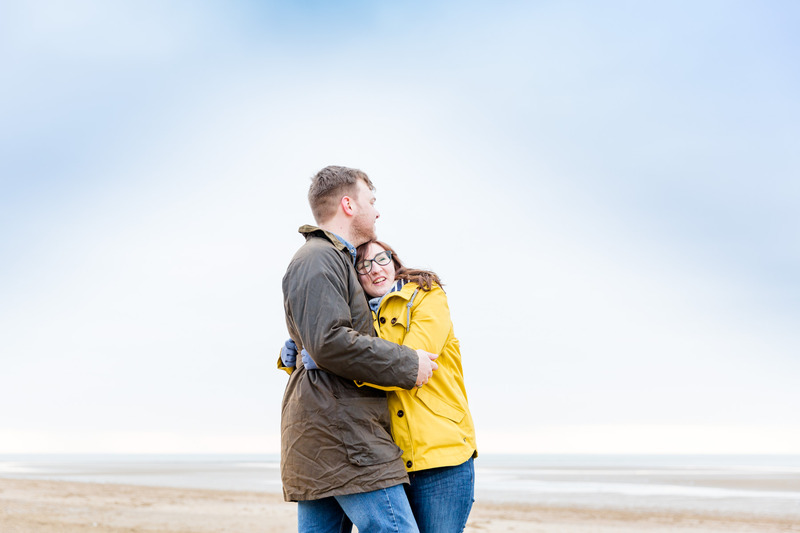 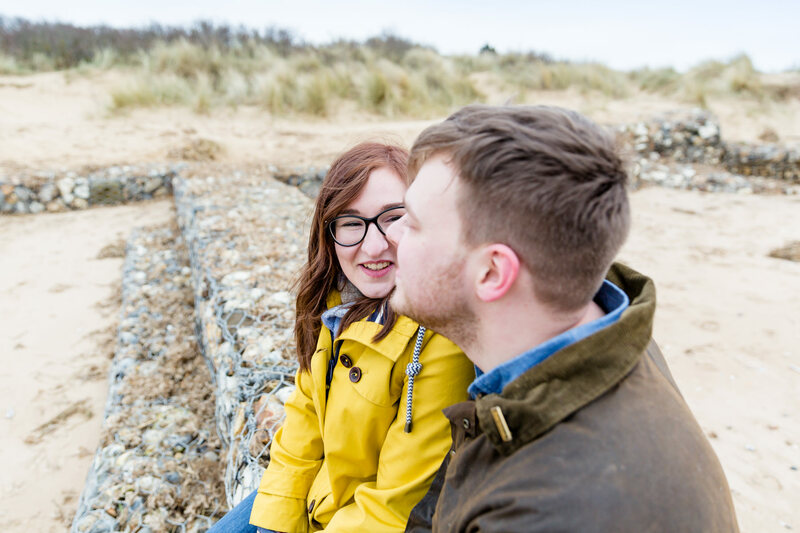 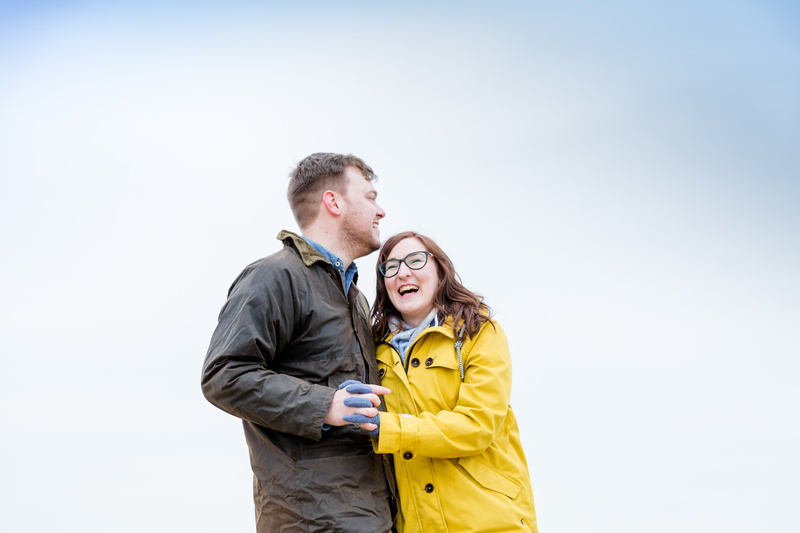 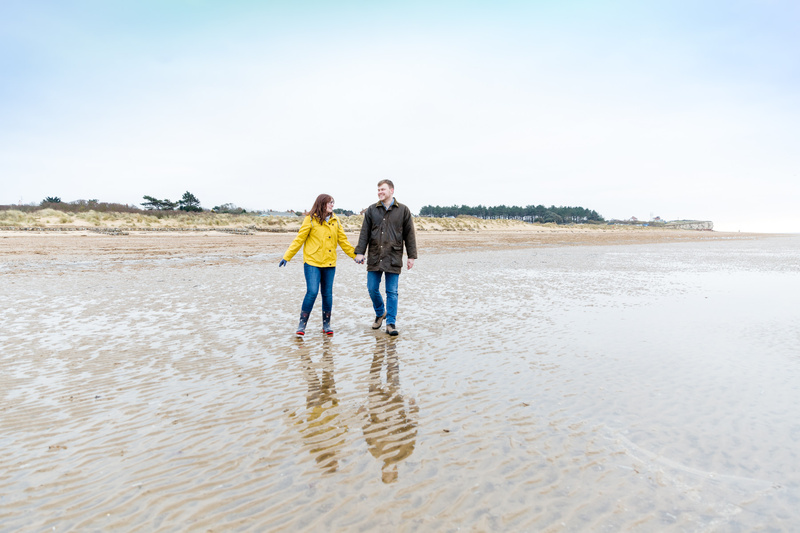 We spent a couple of hours wandering along the beach at Old Hunstanton chatting and I loved hearing all about their plans for their Pentney Abbey wedding this June. 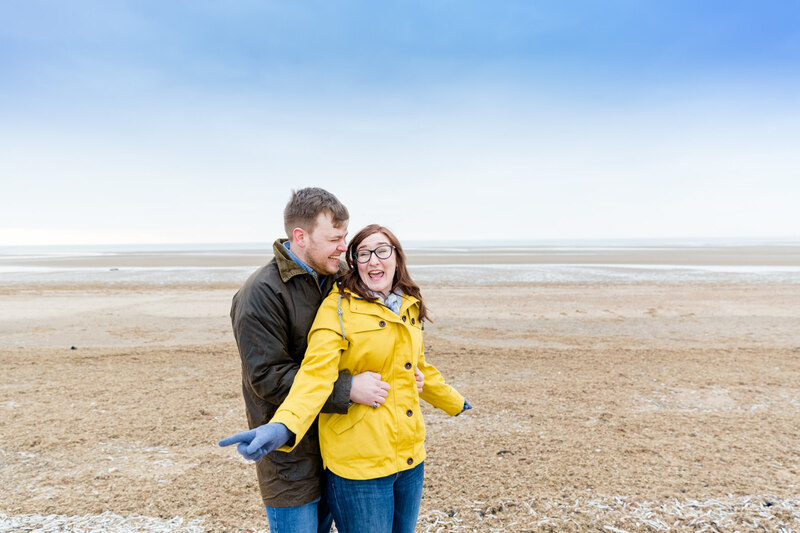 I asked them to have fun, be goofy, squidge each other close and pretend I wasn’t there; they did exactly that and these images are the amazing result. 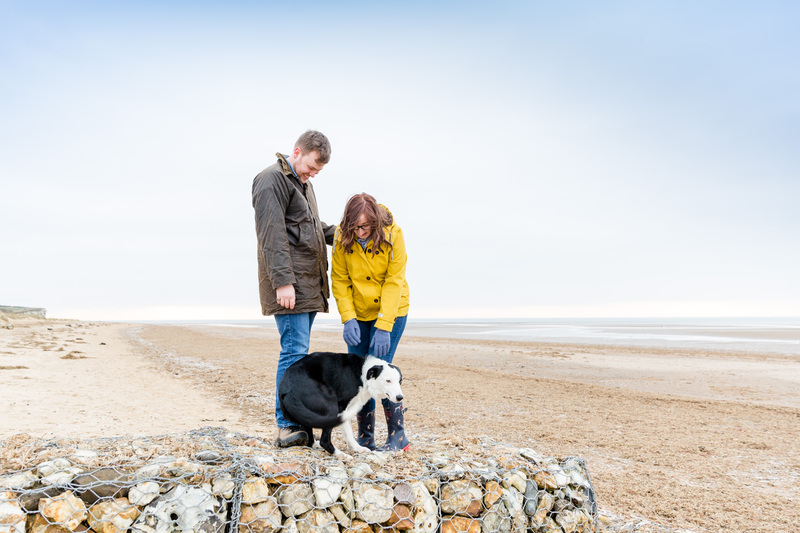 Watch out for the photo bombing collie dog!